On behalf of admin of JML Law, A Professional Law Corporation posted in Car Accident on Thursday, Oct 05 2017. A car accident can ruin your entire day. You have to skip a day at work, spend hours at the car accident scene, talk to the cops and then drive to the police station, hospital and the insurance company’s office in Los Angeles. It couldn’t get any worse, right? Well, think again! This is something most people who get into car accidents overlook these days and end up struggling to prove the other party’s liability or are unable to obtain a favorable settlement. Chances are you have an iPhone (nearly half of the U.S. population owns one!) or Samsung or any other smartphone with a camera. Use it as a detective would use his notebook: write down EVERYTHING (the other party’s name, ID, address, car, license plate, etc.). If anyone has witnessed your car accident in Los Angeles, do approach them and write down their names and phone number. You might need them in court if things get that far (fact: there are plenty of car accident cases that go to court). Losing your cool, getting aggressive and confronting the other party violently decreases your chances of winning the maximum compensation. Many confrontations between drivers in car accidents result in minor injuries, which can only make matters worse if you’re trying to prove someone’s liability (unless, of course, you were defending yourself). A very common mistake people still make in Los Angeles after a car accident. Never admit fault at the scene of a car accident either to the other party or an insurance agent. In the state of shock, it’s almost impossible to be 100% reasonable about what just happened to you. Avoid saying things like, “It was my fault,” “I shouldn’t have done this or that,” or your chances of obtaining a sizeable compensation for your pain and damages will be non-existent. Before you say a single word, we strongly advise you to consult an experienced Los Angeles car accident attorney who will tell you which words to use and which not to use when speaking with the insurance company. 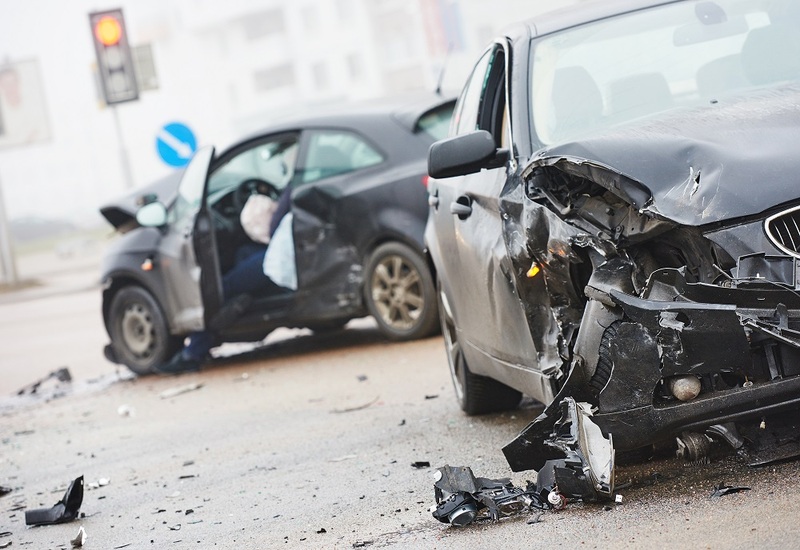 Call JML Law, a law firm that has over 35 years of experience of handling car accidents under its belt, at 818-610-8800 to learn how to settle a car accident in your best interests. As we’ve mentioned above, it’s only natural to experience shock after such a traumatizing and stressful event as a car accident. And your insurance company is well aware of that. That’s why you’ll likely be offered a settlement agreement right at the scene. The problem with that approach is that insurance companies tend to minimize the compensation, as you’re unable to adequately assess all the damage done to you in a car accident while in shock. No matter how ‘right’ it may feel to file a lawsuit as soon as possible, do consult a Los Angeles car accident attorney first. After all, chances are you don’t have a law degree and aren’t aware of all the legal tricks and loopholes that can be used against you to strip you of your compensation. Only a well-versed lawyer can assess the full value of compensation and will fight for you tooth and nail by representing your interests in court. Call JML Law at 818-610-8800 or send us an email to schedule a free initial consultation to start fighting for your interests and win the compensation before it even goes to court. And don’t forget: we don’t get paid if you don’t win.